The KH-2002, also known as the "Khaybar rifle" (Khaybar is the name of an historical oasis approximately 95 miles east of Medina, which once was also the largest Jewish settlement in Arabia), was launched by the D.I.O. (State-Owned Defence Industries Organization of Iran) in the early 2003. 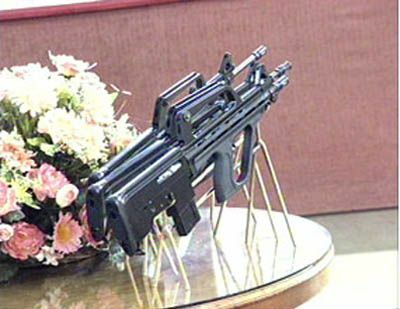 Extrnally similar to the French FA-MAS and the Chinese NORINCO QBZ-95, actually the "Khaybar" KH2002 is a bull-pup plastic shell conversion kit of the D.I.O. S-5.56 assault rifle, which is by itself a copy of the Chinese Norinco CQ assault rifle... which is by itself a copy of the COLT M16-A1. 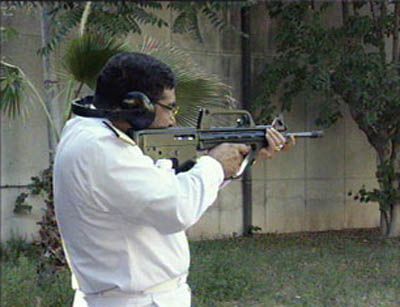 The "Khaybar" KH2002 can thus be considered as a bull-pup conversion of the M16 system. It comes in three variants: standard assault rifle, short-barreled assault carbine, long-barreled designated marksman weapon. It has a fire selection switch for Safe, Single Fire, 3-rounds Burst and Full-Autofire, feeding from either 20-rounds or 30-rounds magazines. 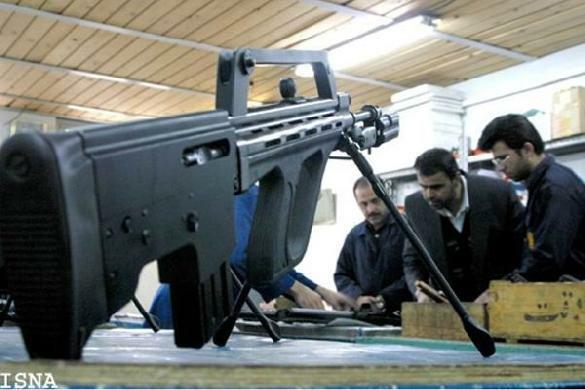 The caliber is the .5'56x45mm-NATO, which Iran is adopting massively for internal use along with the new DIO S-5.56 and KH2002 rifles to replace the old .7'62x51mm G3A5 and G3A6 (domestic production G3 rifles, in service since the times of the Persian Shah).